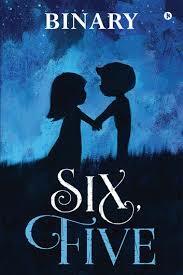 Six, Five by Binary is a well-placed novel with cross-cultural setting. It’s a college campus story where two lead characters Violet and Victor play the most part in it. If you have read the blurb, you must have got the hunch that it is partially sketched on Sherlock Holmes lines i.e. a series of spectacular detective work. It means stories that require sleuths, detectives, and investigation, riddles littered here and there, and enigma along the roads. Let’s focus back on the novel, there we have Violet and Victor, the students of E.G. Millennia. Violet is carefree and chirpy girl pursuing psychology, on the other hand, Victor is a bit serious and studious kind of guy. As the novel chugs ahead, Violet, the narrator, tells basic things about her, Victor, college campus, surrounding, and so on. The most important thing to understand is Zenith – it’s their college campus online newspaper. It’s Victor who manages stories for ‘Unveil Squad’ by investigating cases, mostly from the campus, at times outside as well. Initially, readers may feel as Victor is being lauded and praised by Violet overwhelmingly. But when he begins tackling a series of cases, brilliance of Victor simply amazes and outpaces Violet. Further, to assist him there is gang known as Unveil Squad which consists of people like Julia, Casper, Krishna, Laura, and of course Violet. So the count of characters in the novel increases, but the point that awed us most was that roles and responsibilities of all characters are well-defined. It’s not a chaos. In total, there are ten chapters, but the cases are not ten. The novel is lengthy one, stretches over 450 pages, and most of the cases are subdivided into parts that runs into chapters. Investigating cases is a concurrent theme in the novel, but this aspect has been placed slightly, carefully, and subtly, as you see that personal stories and idiosyncrasies of Victor and Violet run well along with everything. For instance a chapter opens up with guys hanging in the cafeteria, the chemistry between Violet and Victor ups and down like a graph, and then suddenly there is a case comes in. In fact with some of the serious cases, Victor outpaces the police in finding evidences and stitching the puzzles. Cases presented in the novel are interesting but somehow sound soft. The first case ‘Weakness’ was based on discrimination for a football team’s selection. It was rather short and straight case. Cases like Zombieland and A Scandal in R.R.A and Yasmine’s Story are intense, lengthy, and gripping. As the novel moves on, Victor and his team hops from one case to another, gathering clues, ranging from CCTV footage to arriving at unusual and surprising conclusions. Victor as a lead detective thrives more on his instincts than logics. However, in the end everything goes right and people bow down before his brilliantly solved cases. All in all, this makes the novel a worthy engrossing read. It is a brilliant pack of detective stories, with same set of characters and setting. Through the cases the author has tried to convey the message that drug abuse is a common problem plaguing the youth across the world, be it a case of Yasmin or Zombieland or The Infector. We found this book mix of many into one such as thrill, suspense, mysteries, and personal stories – though from time to time there is a tonal shift but the overall doses of wit and humour never dips down. This is a book to be savoured slowly, not meant for hurried reading. The language used in the book is lucid, easy-to-grasp, and certainly promising. With a more acute and consolidated plot, this novel could have turned out to be more intriguing, like spy thrillers.